Part of the DNA of this band has always been the desire to get our music to as many people as possible. In the next 24 hours, over a half a billion people are going to have Songs of Innocence… should they choose to check it out. That is so exciting. People who haven’t heard our music, or weren’t remotely interested, might play us for the first time because we’re in their library. Country fans, hip hop afficionados from east LA, electro poppers from Seoul, Bhangra fans from New Delhi, Highlifers in Accra… might JUST be tempted to check us out, even for a moment. What a mind blowing, head scratching, 21st century situation. Over 500 million people… that’s a billion ears. And for the people out there who have no interest in checking us out, look at it this way… the blood, sweat and tears of some Irish guys are in your junk mail. 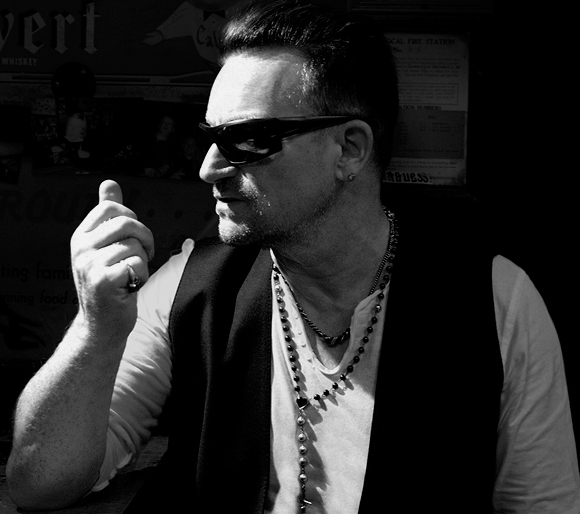 You’ll have noticed the album is free to U2.com’ers from the band. It’s also free to everyone on iTunes thanks to Apple. To celebrate the ten year anniversary of our iPod commercial, they bought it as a gift to give to all their music customers. Free, but paid for. Because if no-one's paying anything for it, we’re not sure “free” music is really that free. It usually comes at a cost to the art form and the artist… which has big implications, not for us in U2, but for future musicians and their music... all the songs that have yet to be written by the talents of the future… who need to make a living to write them.